WYD 2008 affected many lives. Fr Chris Ryan MGL was the coordinator of the Journey of the World Youth Day Cross and Icon, which lead up to the main event in Sydney. Fr Ryan stated that he was grateful for the young people whose lives were touched by the Holy Spirit during the event and who were then inspired to take up the mission of Jesus. Kate Kirk says that as a 15 year old, WYD 2008 had a profound effect on her. She says as a 15 year old, she had many doubts about the Catholic faith but said her experience at WYD surprised her. She said she ended up getting swept up in the positive atmosphere of WYD and found it to be a very unifying experience. Fr Lewi Barakat said he didn’t know a lot about WYD before his experience of WYD in 2008. He first remembers hearing about WYD in 2006 and started to take an interest in what WYD was all about. Lewi joined with representatives from every country as part of his role in the International Liturgy Group (ILG) and had the most amazing experience of being blessed by the Pope. Lewi said he directly attributes his experience of WYD in 2008 to playing a big role in his openness to the call of joining the priesthood. Michael Neylan is a teacher with Sydney Catholic Schools, currently working in youth ministry. 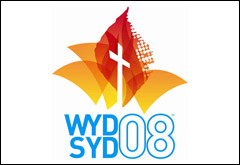 Michael is also the coordinator for WYD, Panama, for the Sydney Catholic Schools Office. Michael recalls the impact of moving between the chaos of the outdoor youth festival events, which involved thousands of people chanting and shouting, to the places of adoration, such as the chapel set up at the Opera House. 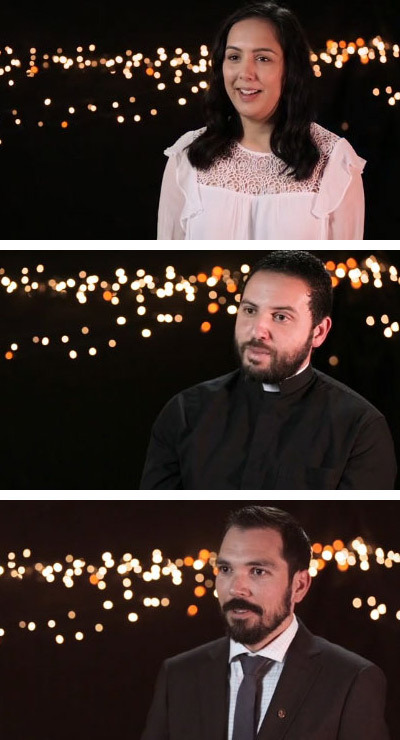 He said it was an incredible opportunity to step into the silence and the beauty of encountering Christ which made his experience so amazing.